Online booking platforms are vying for new innovations to attract younger customers amid the rapid development of the digital market dominated by millennials. Online booking service Tiket.com, for example, is diversifying its products through its mobile application and organizing events to attract millennials. “With such products, we aim to expand our market through fun, fast and friendly commercials and improve our core value,” Tiket.com chief marketing officer Gaery Undarsa said recently. Tiket.com said in a statement that it had also displayed straightforward but more cheerful and entertaining advertisements on social media platforms with attractive and eye-catching colors. “To make the advertisements more attractive, we, for instance, have launched a character named ‘t-man’ as a friendly representation of Tiket.com,” he said. Another online booking service provider, PegiPegi, is also trying to attract more millennials by updating commercials on both conventional and social media. “PegiPegi has published unique content on social media that has the power to go viral and help improve brand awareness,” it said in a written statement. Aside from introducing attractive commercials, Gaery said Tiket.com also provided recommendations on travel destinations through articles published on the Tiket.com app to give users more references for their holiday. Tiket.com updated its application every two weeks to keep up with the latest trends, he added. “As almost 90 percent of our transactions come from the mobile application, we have to make sure that the app can meet customers’ needs in the most fun, fastest and friendliest way possible,” he said. Similarly, PegiPegi said in a statement that most of its transactions took place through its mobile application. “Besides its practicality, customers use the mobile application for its benefits and special promotions that we offer,” it said. The statement says PegiPegi has revamped its application recently to give it a fresher look and offer easier access for customers. Gaery added Tiket.com would implement a fun, fast and friendly concept on real-life events for youngsters in the country. “We will hold workshops called creative corners for millennials in Makassar, South Sulawesi, in Medan, North Sumatra and Malang, East Java,” he said. 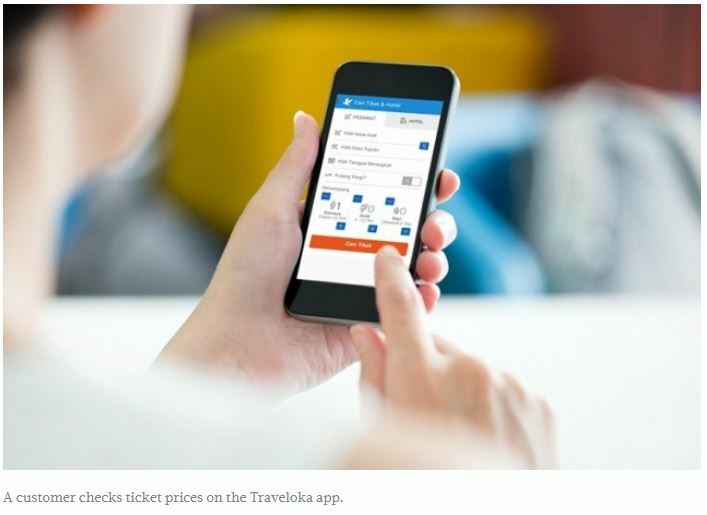 Meanwhile, another online booking service provider, Traveloka, has modified its application as a� one-stop go-to travel and lifestyle platform offering diversified products with the aim to appeal to customers from diverse backgrounds, including millennials. “On flight ticketing, for example, we will offer online [processing for] refunds and easy rescheduling of flights,” Traveloka corporate communications manager Busyra Oryza told� The Jakarta Post� earlier this month. In another effort to diversify its products, Traveloka has also introduced PayLater, an online credit system without the need for a credit card, which is suitable for those who prefer cashless payments. Recently, Tiket.com also announced a partnership with in-flight Wi-Fi provider Mahata Group to provide free Wi-FI services for low-cost airline Citilink to attract millennials.